The main principle of creation was basically to make as big an orc character as possible - on foot - and bigger than the new Brian Nelson fantasy warlord! The main component for the model is the 40K ork warlord where all 40K related bits were either cut away or covered with armour sculpted in greenstuff. 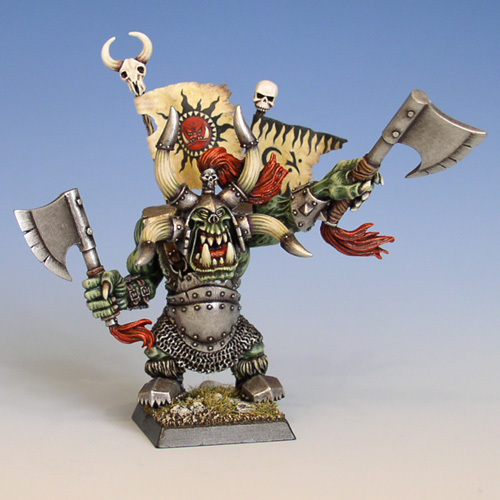 Paintingwise, the model was fairly simple: Armour, orc skin and a few areas of red and brown. The metal was painted in many stages of shading and highlighting as described in my metallic tutorial.